Europlan tambour cabinet. 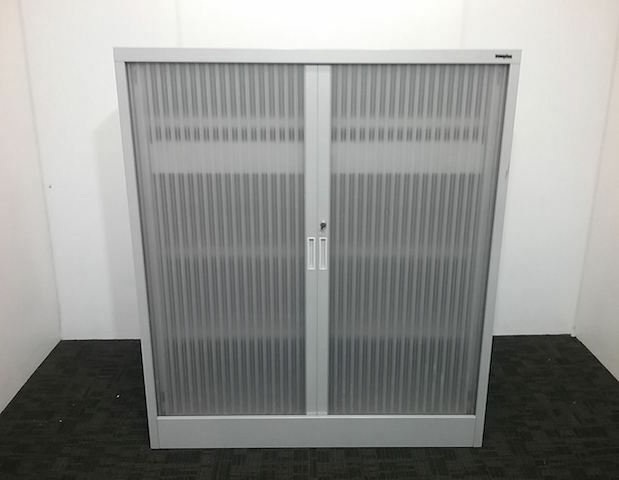 Steel tambour cabinet with self concealing roller doors in ribbed polypropylene. Light grey. On castors. Lockable + key. 3 x adjustable shelf and 1 x filing hanger frame.